When loved ones announce that they’re having a baby, it's always the happiest of news. But, the situation might be slightly different if the pair that's having the baby is actually related - this is where it gets a bit weird, right? However, in the messed up, but strangely addicting, world of 'Game of Thrones', this is just your typical day. So, what exactly will happen in the show’s new season? Could Daenerys Targaryen and Jon Snow have a baby? It seems like fans are divided into two groups - ones that are absolutely loving and worshipping this union, and the ones who can’t seem to overlook the “we’re related” ew-factor. Alas, a Reddit union decided to bless us with their personal theory on the situation. As one Redditor suggests, it all started with the old prophecy that was foretold earlier on in the show - more specifically, the “Prince that was promised” prophecy. As a refresher for those who don’t remember, the prophecy was foreseen by the red priestess Melisandre. She predicted that a prince would come forth with his flaming sword, “Lightbringer,” and save the worshippers of the Lord of Light. This leads us to the question - could the prince that comes forth be the child of Daenerys and Jon? Of course, Reddit is full of outrageous and sometimes absolutely hilarious theories. It's hard to scroll through the thousands of them and find something believable. But, there is one that actually makes sense and the most likely one of them all, that was taken from R/gameofthrones. They firstly claim that the promised prince will be the offspring of Jon and Daenerys. In addition, they state that the prince that was promised - their child - was actually promised to the Night King. "The Prince That Was Promised...was promised to the Night". Let’s dive deeper into this question - more specifically, how and why this might have happened. "There isn’t really a good reason mankind should win this war. They’ve talked about it the whole time about how futile it actually is. So...mankind doesn’t win. Instead, the Night King, on the verge of annihilating the world of the living comes to the surviving heroes and demands his prize: The Prince That Was Promised, a child of royal blood — the true heir to the throne, the prince born to Daenerys Targaryen and Jon — to be the new Night’s King with the passing of the last". "Dany will have become pregnant in the new season, seemingly defeating the prophecy of Mirri Maz Duur. But the witch will have been proven true in the end. As the Night’s army surrounds the survivors, the Night King will point to Dany’s belly and Jon will (with tremendous gnashing of teeth and brooding), plunge his sword into his true love to pull out mankind’s salvation — the royal baby sacrifice that will Bring Light back to the world, just like when Azor Ahai killed Nissa Nissa to save the world before (and hence never bearing a living child)." At first, this sounds completely insane and unlikely. Way too twisted, right? Unfortunately, everything is possible in the world of ‘Game of Thrones’. Especially the moments we really wish didn’t have to happen. 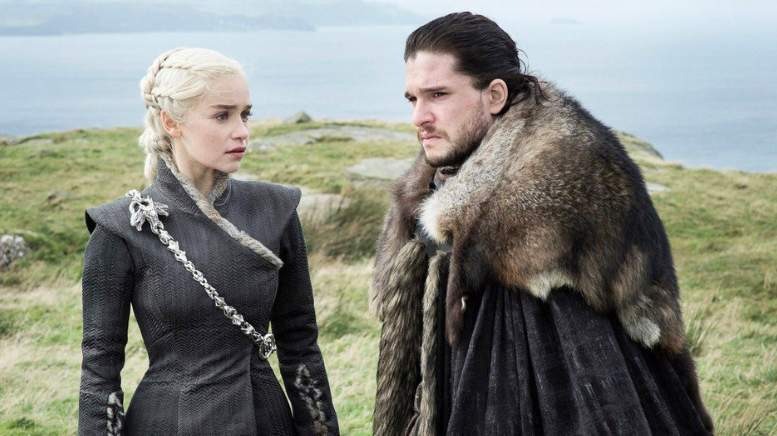 Details about the events that are going to unfold in ‘Game of Thrones’ Season 8 are still being kept a secret though. With the premiere coming up in just a couple of days, fans are sitting on the edge of their seats with anticipation. Emilia Clarke, also infamously known as the Mother of Dragons, opened up in an interview with Vanity Fair about what to expect in the new season. 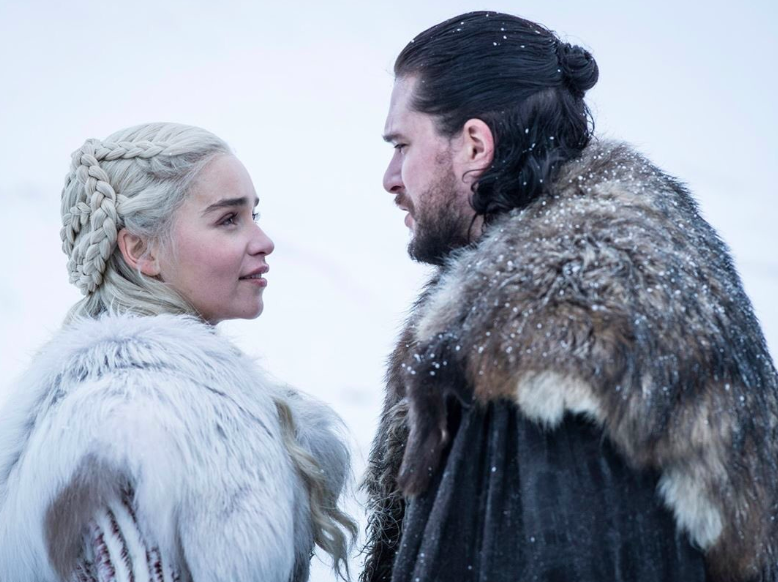 When talking about her final scenes, she stated, "Knowing that is going to be a lasting flavor in someone’s mouth of what Daenerys is," and stopped before giving away anything more. She could very possibly be referring to the theory about giving away her baby in order to win the fight against evil. Lots of our favorite existing shows can be pretty predictable, and fan-made theories end up being spot-on. However, with ‘Game of Thrones’, we never know what to expect. All we can do for the next few days is wait until the first episode finally airs, giving us a taste of what’s to come for the rest of the season. What do you guys think; will Jon and Daenerys have a child? And will they have to sacrifice it to the Night King? Let us know whether you believe the theory and support the union of our two favorite characters! We’d love to hear your opinion in the comments below. Also, make sure to check out our related ‘Game of Thrones’ articles for the latest development of this fabulous series.